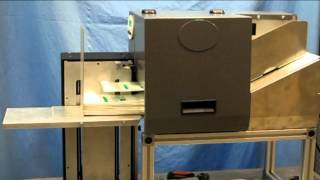 This printer can be used to print and cut Tyvek tags or Tyvek lids. 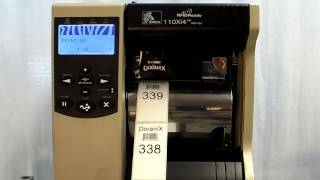 Printing on Tyvek for medical applications is a bit easier using the Doranix ThermaPrint64 with integrated bar code grader. 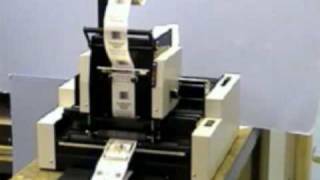 This system can be used to grade the printed bar codes in compliance with the FDA's Unique Device Identification (UDI) requirements. 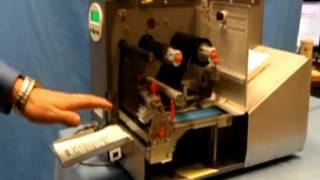 Printing and applying labels or simply just applying labels can be easy! 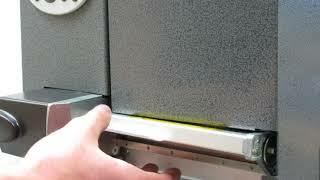 Applying labels directly onto packages. 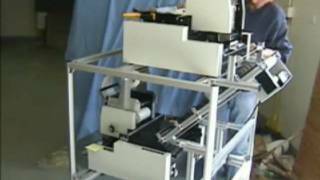 Label Applicator, Label Printing Applicator, Integrated Label Processing System. 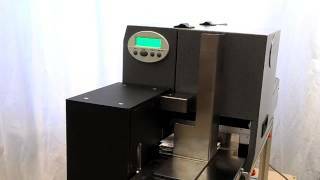 Specialty medical packaging printing system. DoraniX's new ThermaPrint! 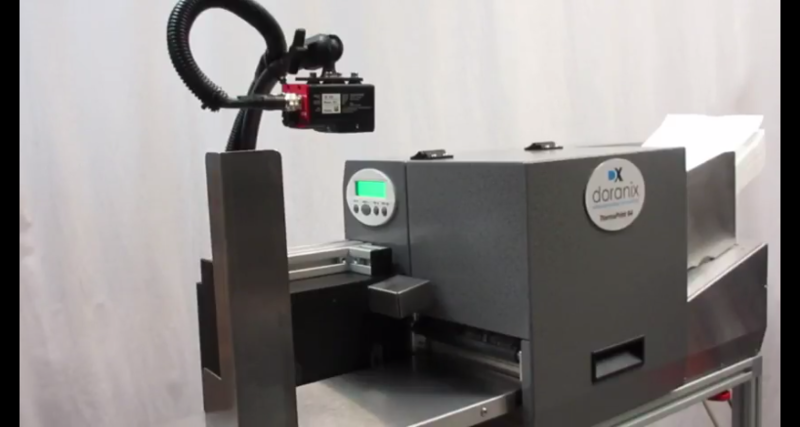 This great table top printer can handle a variety of different sized product. 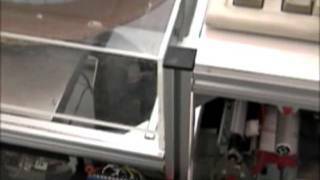 It can print directly on your product. DoraniX's new ThermaPrint! 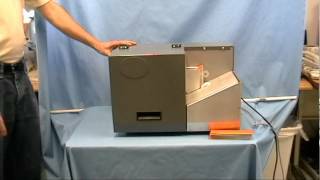 This great table top printer can handle a variety of different sized and material product. 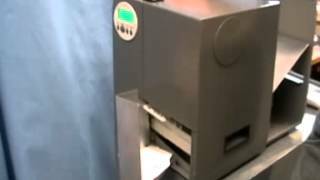 This short clip shows the Doranix ThermaPrint64 tag printer. 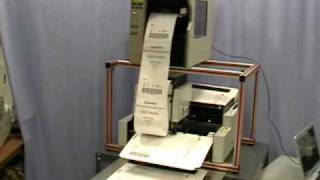 It is running at 8 inches per second printing variable data with barcode. These tags are made of 0.030" card stock.